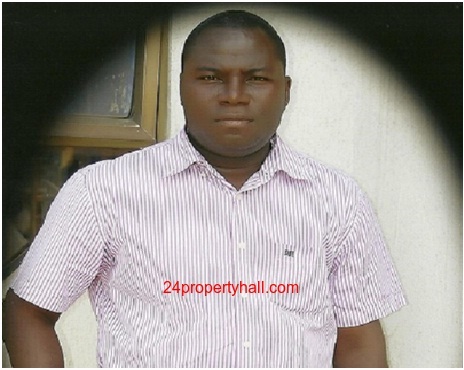 Today i am going to introduce the power blogger Lawrence Abiodun, The Founder of www.24newspage.com and www.coverpage.com. Interview is a great way to know the person, his struggle, career, life journey and achievements. Lawrence Abiodun is the first person i took his interview through online in the series of journey of a professional blogger. Ans- Lawrence Abiodun is a part time blogger who love searching the internet and writes about any topic that can be of value to people who visit any of my blogs www.24newspage.com and www.coverpage.com, Lawrence is a gentle, industrious, very intelligent young man from Nigeria and one of the foremost and upcoming successful blogger and online marketers. Ans - I started blogging in year 2008 precisely hurriedly without learning the rudiment and tactics of blogging. This has really hinder and slowed than my progress has a blogger, because I have been face with so many ups and downs, but thank God for my resilience and steadfastness for not quitting the Blogging trade by keep believing that one I will be noticed and recognized by what I am proud of doing. Ans- Very simple in making ideas to make ones blog. Blogging is a tactical and event oriented profession that has to do with current trends in the society and made to help people who are striving in life. Ans - Of course, blogging is definitely a good career option if you really knew what you want to be doing as a blogger. Blogging is not about making, but passion which will definitely grow to money making when you have really established for yourself and built a brand online. 5) Which are your favourite blogs? Ans - There are so many blog online that are good and I also love following or reading. There are blogs like enstinemuki.com, 24newspage.com, and so many wonderful blogs out there. 6) How much time you spend on social media and SEO of your blog? Ans - I am spending much of my time online to make the success of my blogs come to the limelight for others to see what I am doing. Ans - I am someone that spends close to 15 hours online daily just trying to make my blogs works. 8) Your message for my readers and any suggestions for newbies? Ans - Blogging is a very lucrative profession an online trade that requires to learn the knowledge of Coding and SEO. Starting a blog does not required you breaking bank since it requires little money to start, with perseverance and ability to liaise with other people by learning from them, you will surely make it big in the blogging industry. In my country Nigeria, so many youths are really making livings from blogging. Don't forget to share about Lawrence Abiodun on Social Profiles. If you want to publish your interview, feel free to contact with me.